We are one of the leading Service Provider, Wholesaler, Trader of the finest quality of Currency Counters & Lockers. These counters and lockers are highly demanded in various banks and different government offices. 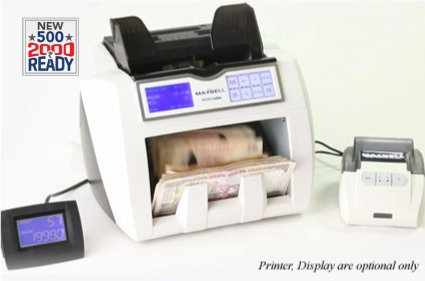 We are the Service Provider, Wholesaler, Trader of premium quality of Currency Counter, Bundle Counter, Fake Note Counter, Paper Shredders and more. We also deal in Fake Note Detectors and Gold testers.